Working with our customers to put ideas into practice. 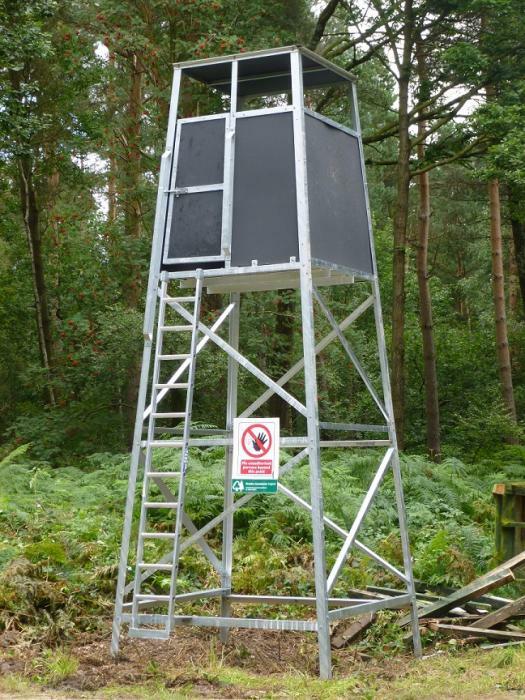 The forestry commission wanted a lookout tower for the control of wildlife. We provided a service from design to construction. 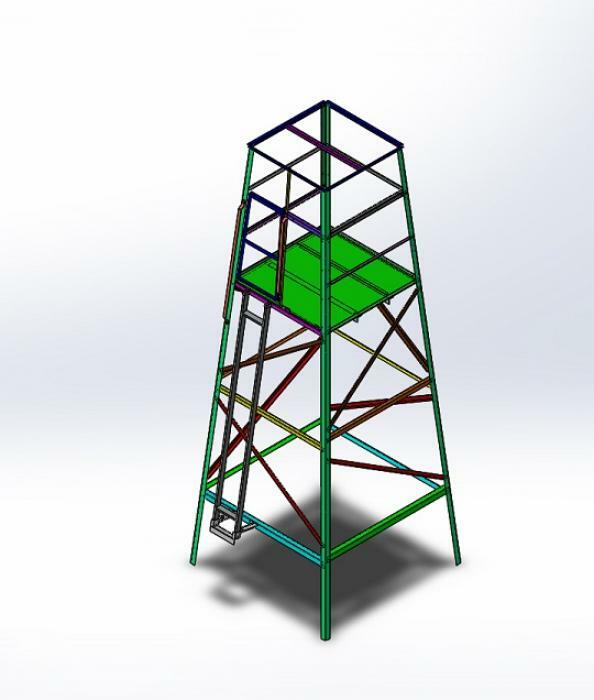 Using solid works a lookout tower was drawn up. The high seat deer stalking hide was then manufactured. The deer stalking towers are manufactured using steel and then galvanized to give a long life in the forest. The floor is 5 mm thick aluminium and the cladding is recycled plastic. Some customers have a template or original part they want manufacturing, we can use this to remake new parts and add custom features that may suit the customer better. BESPOKE METAL MESH CAGES DESIGNED AND INSTALLED TO SUIT YOUR REQUIREMENT. 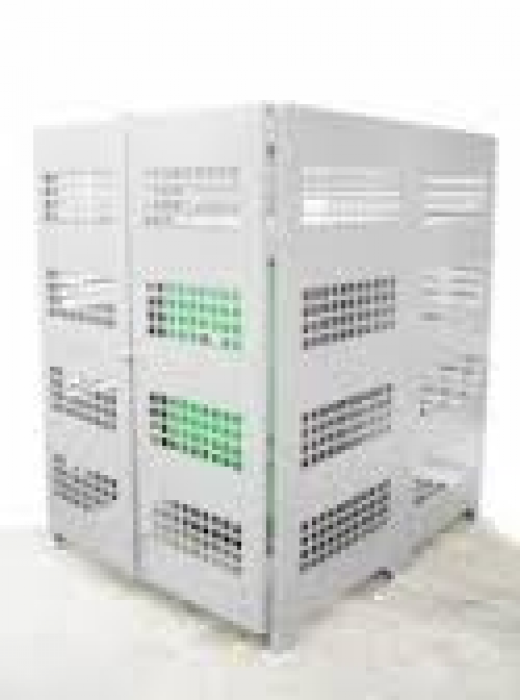 Health and Safety is important – we offer a range of cages to suit individual needs from gas bottle cages, Kiln cages, steel storage security cages etc. Gas bottle cage are made to order and manufactured to your size requirements. They are steel with a powder coated finish. 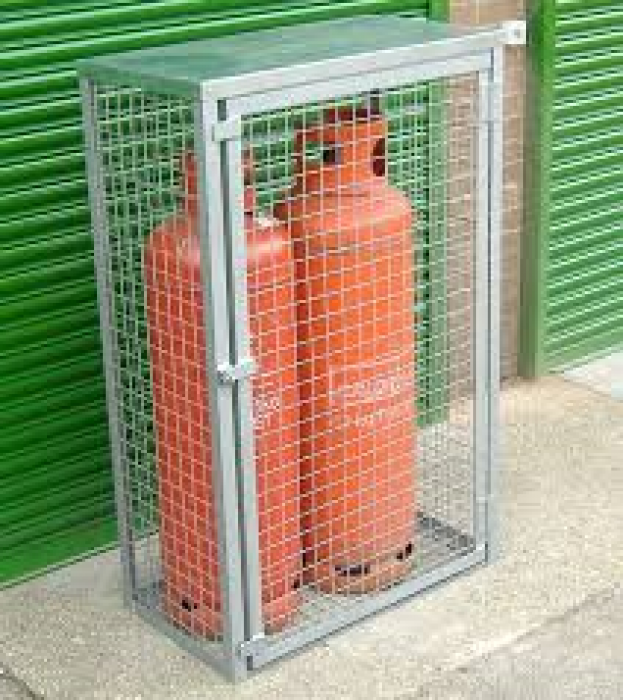 For optimum protection it is recommended the Gas cylinder storage cage is galvanized to prevent corrosion. 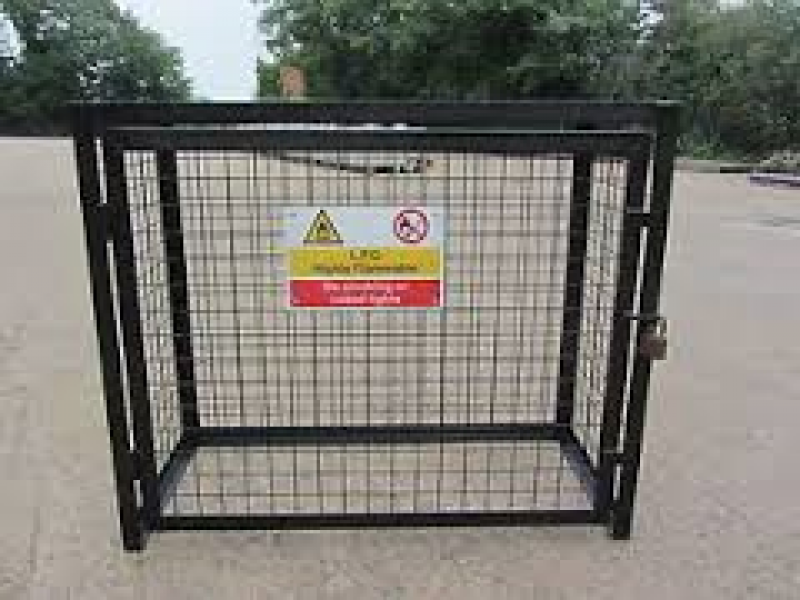 Kiln cages and security cages are also part of our range.